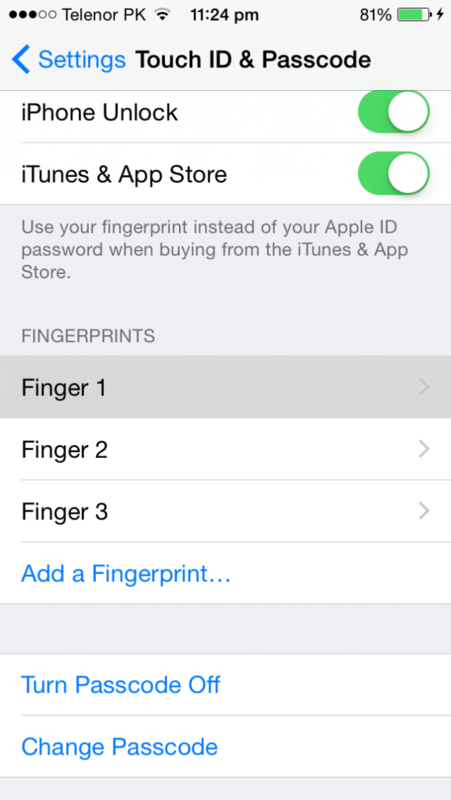 Having problems with Touch ID on your iPhone? Apple debuted the technology with the iPhone 5S almost two years back, and while the system does work flawlessly most of the time but if you’re an iPhone user you’ll know that it isn’t free of glitches. Several times Touch ID simply refuses to detect your fingerprint and you’re left to enter your passcode after repeated attempts. Well, we might have a fix for that today, and to make things even better, it doesn’t require you to install any app on your device either. You can improve Touch ID’s performance on your iPhone simply by following the steps below. To fix or improve Touch ID performance on your iPhone, all you’re going to need to do is access the Touch ID and Passcode menu shown in the screenshot above. Tap on the option to open up the menu. It’ll look like in the image below. 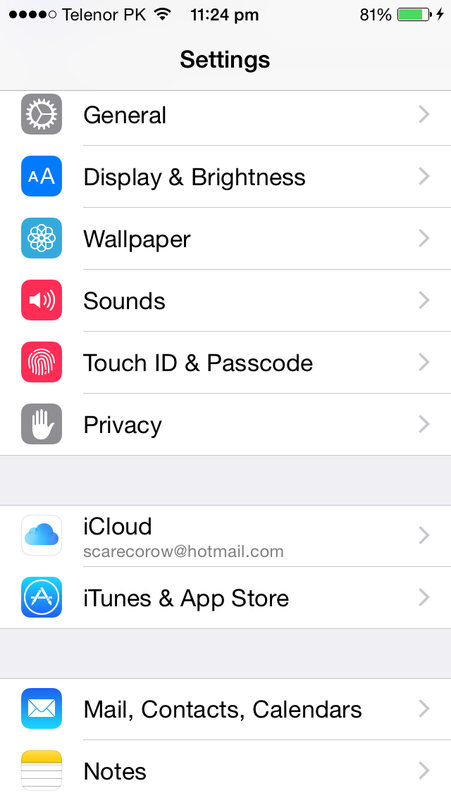 If you open the Touch ID and Passcode menu on your device, you’ll notice that the first finger, Finger 1 option isn’t grey on your device yet. This is the second part of today’s tutorial and is the step that’ll improve Touch ID performance on your device. To improve Touch ID’s impression of your fingerprint, simply place your finger on the sensor while the menu above is open. The corresponding finger tab will turn to grey which will be an indicator of the fact that Touch ID has now gotten a better impression of your print without you having to enter a new print altogether. Sounds easy? We sure do think so. So give it a spin and let us know whether this solved your Touch ID problems in the comments section. Cheers.